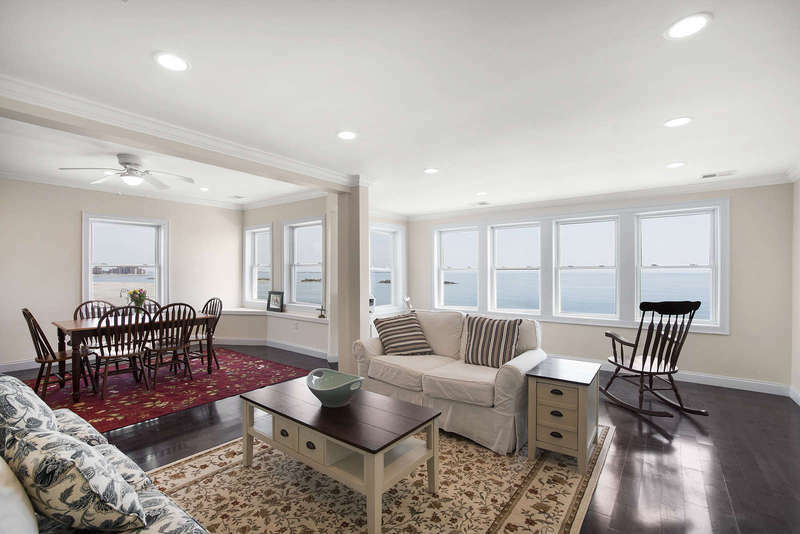 Experience spectacular ocean views from this dramatic waterfront location! Built in 2015 this large three bedroom, two bathroom home offers open concept living all on one level. The beautifully updated kitchen features stainless steel appliances, granite counter tops and plenty of space for cooking and entertaining. The kitchen opens to the large dining room and living room with spectacular ocean views. The master bedroom is front facing with great closet space and an elegant en-suite bathroom. Other unique features include hardwood floors, high ceilings, central air conditioning, in-unit washer/dryer, additional storage in the basement, and two tandem parking spaces. This home is perfect for entertaining with its open and bright layout. Coastal living at its finest with boating, fishing, surfing, swimming and kayaking just outside your front door.